Do you desire a Luxury and Affordable home for your loved ones? We offer luxury but yet affordable estate to all class of people. 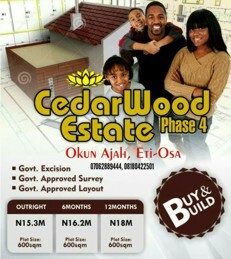 Our Estate appreciate daily, its secured & reliable. 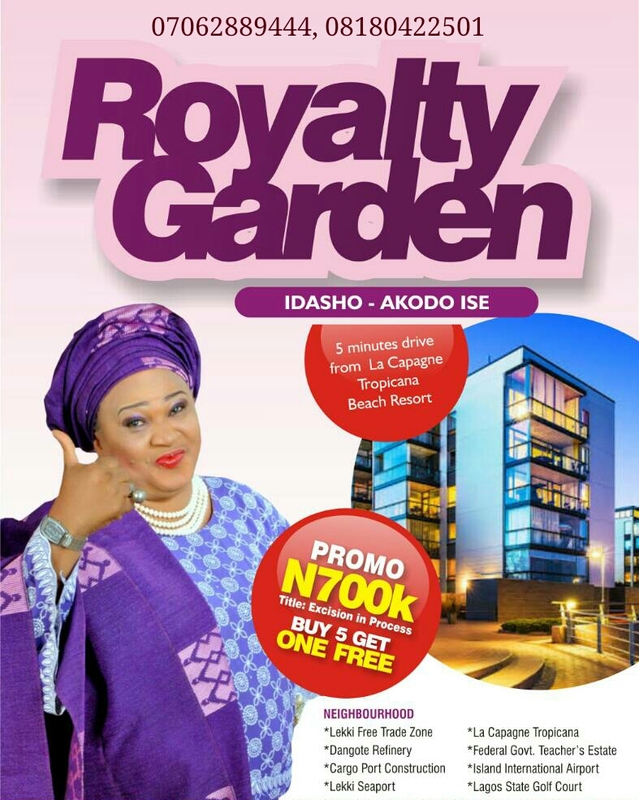 Royalty Garden, Idasho, Akodo Ise, Ibeju Lekki is an amazing garden with luxurious land space with fast and speedy developments (Estate gate, security house,good road network etc). 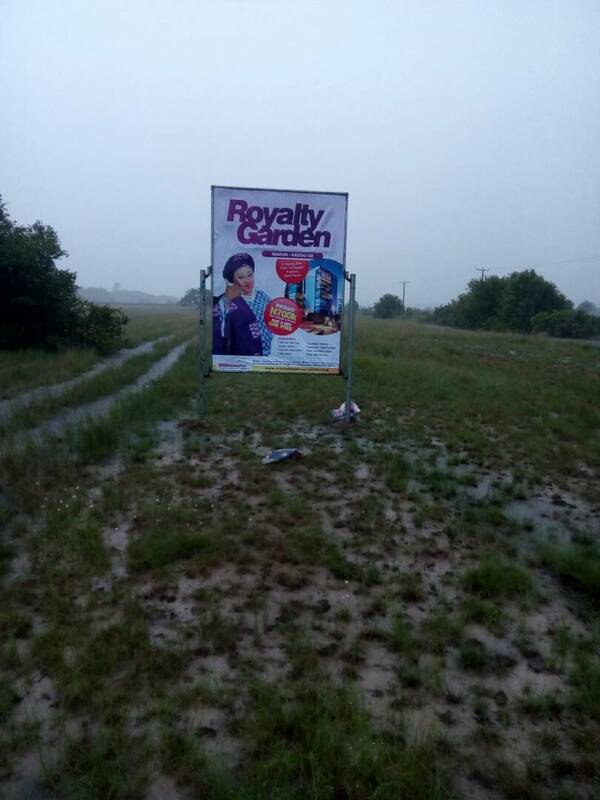 It is located in a serene environment of the new economical centre of Lagos - Ibeju Lekki. 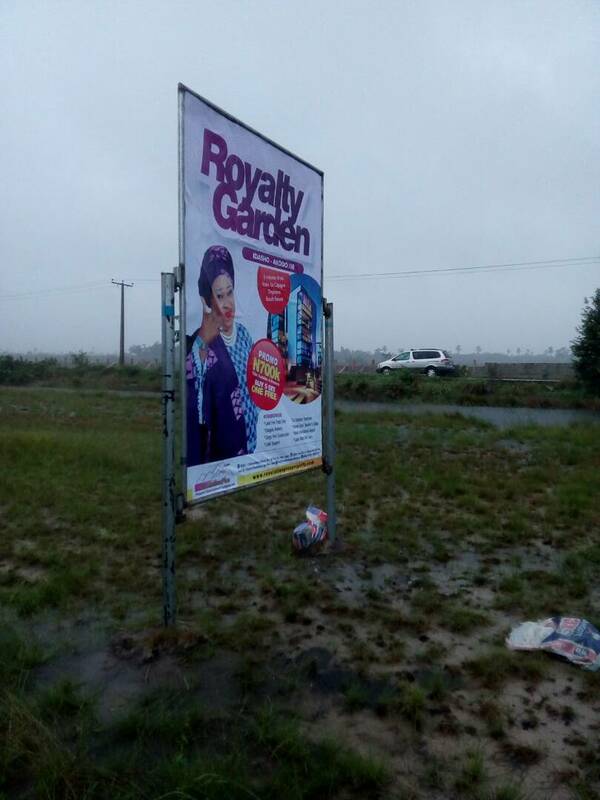 The estate is about 2mins drive from La Campagne Tropicana, 5 mins drive from Dangote Refinery. * Amen Estate, Eleko - the brick-walled housing Estate with close proximity to Eleko Beach. * Dangote Refinery - The largest single refinery in Africa. * Dangote Private Housing Estate site - The proposed site to house the 250,000 workers expected to work in the refinery. * Dangote Private Sea Port - Exclusive sea port for the export of processed crude oil products from the Dangote Refinery. * Lekki Deep Sea Port - A massive sea port on the Island of Lagos. #Buy 5 Get One free!!!! For Enquiries and Inspection, Please call;07062889444, 08180422501.